Atlanta has landed a new accelerator for startups. Those who apply and are accepted will go from hypothesis to customer discovery to value proposition to forming a co-founding team all the way through investor pitch during their time in the accelerator program, which will conclude with an investor pitch competition. The best part is all of this happens in one day. 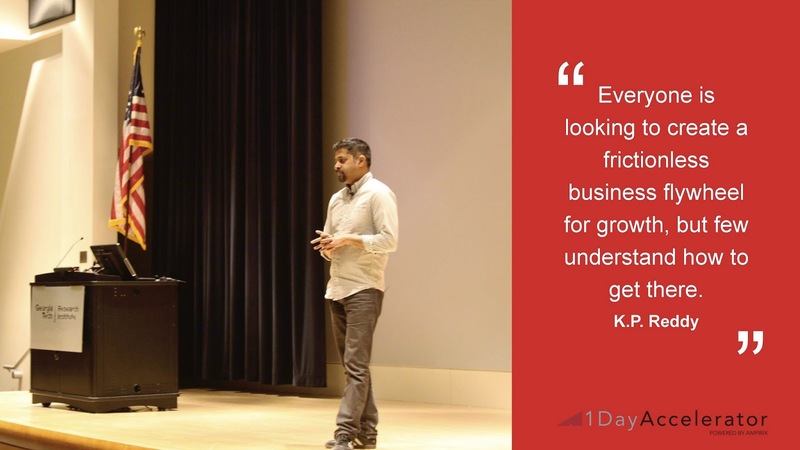 That’s right, it’s a 1-day startup accelerator, led by Atlanta’s own KP Reddy, whom you know formerly as the GM of ATDC and currently as the CEO of Softwear Automation and Managing Partner at CTW Venture Partners, a venture capital early stage investment fund. Hypothesis: Focus on hypothesis development, and then testing that hypothesis. Customer Discovery: Learn how to properly do customer discovery and the importance of timing for this step. Pain Points: Learn with a renewed vantage point when addressing the primary pain point you are focused on solving. Value Proposition: Develop a definitive value proposition that you can communicate clearly. Cofounding teams: Learn the importance of building strong diversive and inclusive cofounding teams. Advisory Boards: Learn how to build advisory boards from a diverse group of people by sharing knowledge and experiences. Pitch Practice (no, not that Pitch Practice, though probably better! ): Properly pitch your idea and then practice in front of peers to gain feedback on your pitch. Lectures: Morning Lecture will teach you important steps in lean startup methodology from an experienced, successful entrepreneur. Here’s what the attendees of previous 1-Day Accelerator events, including the founder of Atlanta’s very own SPLIT, have to say about their experience. You can learn more about KP’s style of instruction and mentoring on his blog, which he has recently updated and begun posting to more regularly. Atlanta keeps rising as a tech startup center of excellence and influence. It’s the natural path for a community that has so many excellent experienced entrepreneurial leaders, and KP is spreading the startup wisdom with this series of 1 day accelerators. I think that there could be many more of these types of events led by teams of experienced entrepreneurs, investors, and business leaders from Atlanta as they move into the next stages of their careers to train up the next generation of young tech leaders. Previous PostPrevious It's not you. It's me.